Speaking four different languages: Chichewa, English, Tumbuka and Setswana, Susan is a 24 year old stunner from Mzuzu who stands tall at 5'5.5". She is currently a student who dreams to work towards attaining a PhD in information technology. 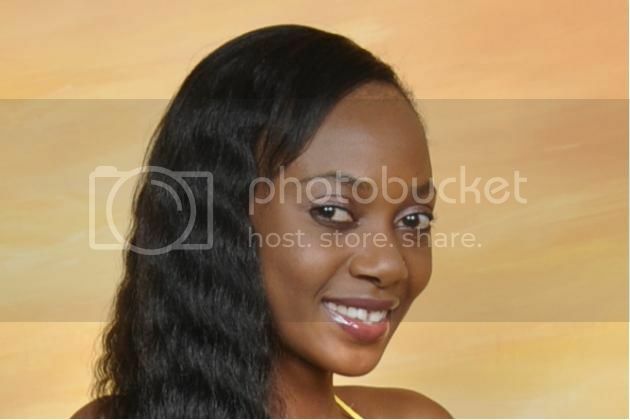 Someone who is a people's personm very hard-working, friendly and passionate person, that's how Mtegha describes herself. She enjoys reading, netball, fashion design and dancing as few of her many hobbies. The personal quote that inspires her in life is "Work hard in all you do, never give up because the best is yet to come." Susan representing her native country of Malawi will battle against other 119 hopefuls for the title of Miss World 2012 which celebrates the grand finale on August 18 in Ordos, Inner Mongolia at the People's Republic of China. It is one of the most celebrated and the oldest surviving beauty competition in the world since 1951. If ever she wins the crown, she will stay in London entire her reign and will travel to represent the Miss World Organization and its various causes. Do you think Miss Malawi has what it takes?